Since plastic has so much negative effects, many cities and countries from around the world have already put plastic bag bans in place. 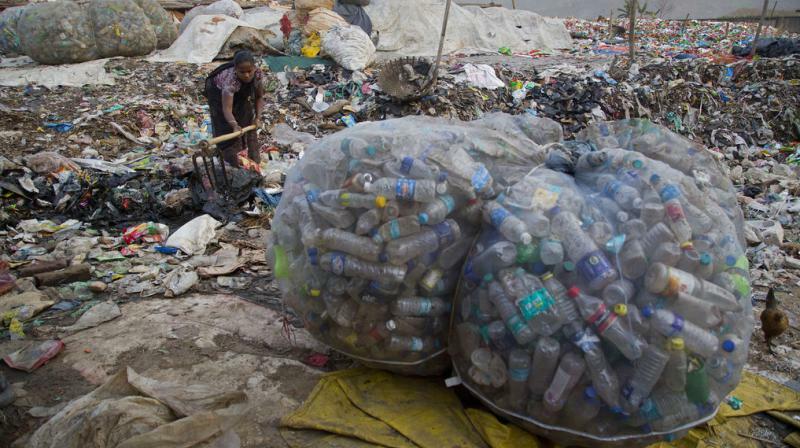 The Maharashtra government has decided to ban the use of plastic from "Gudi Padva", the Maharashtrian New Year which falls on March 18, Environment Minister Ramdas Kadam recently said in the state Assembly. While plastics are a convenient way to carry goods, it has a very high cost on the environment and also adversely affects human health. Since plastic has so much negative effects, many cities and countries from around the world have already put plastic bag bans in place. Here are a few reasons why banning plastics is actually good. Plastic bags pollute our land and water: Plastic bags can travel greater distances by wind and water because of their lightweight. They litter landscapes, get caught in fences and eventually make their way into the world’s oceans ending up upsetting the flora and fauna. Plastic bags are made from non-renewable resources and contribute to climate change: The majority of plastic bags are made of polypropylene, a material that is made from petroleum and natural gas. Both of these materials are non-renewable fossil fuel-based resources and through their extraction and production, they create greenhouse gases, which contribute to global climate change. Plastic bags never break down: Petroleum-based plastic bags do not truly degrade. The plastic breaks up into tiny little pieces that end up in the ocean to be consumed by wildlife. Plastic bags are harmful to wildlife and marine life: Plastic bags and their associated plastic pieces are often mistaken for food by animals, birds, and marine life like fish and sea turtles. The consumed plastic then congests the digestive tracts of these animals, and can lead to health issues such as infections and even death by suffocation. A number of cases come up each year where animals get tangled in plastic in the ocean and suffocate to death. Plastic bags are harmful to human health: Plastic fragments in the ocean such as those from plastic bags can absorb pollutants like PCBs (polychlorinated biphenyl) and PAHs (Polycyclic aromatic hydrocarbons), which are known to be hormone-disrupting chemicals. When marine organisms consume plastics in our oceans, these chemicals can make their way through the ocean’s food web and then into humans who eat fish and other marine organisms.